We’ve had some great sunrises and sunsets lately, thanks to weather patterns in Southern California that provide high clouds and open horizons to let the light reach the undersides of the clouds just at the edge of each day. A few days ago I was photographing the full moon over waves in one of the more picturesque areas of coastal La Jolla. As dawn approached, the high thin clouds caught hold of the sun and the sky exploded with warm colors. The light changed rapidly; the two photos I kept were taken only 5 minutes apart but show very different color bias, with deeper reds and some purple as the sun first appeared followed shortly by more oranges and yellows as the rays of the sun passed through different parts of the atmosphere on their crash course into the clouds. Cheers, and thanks for looking! 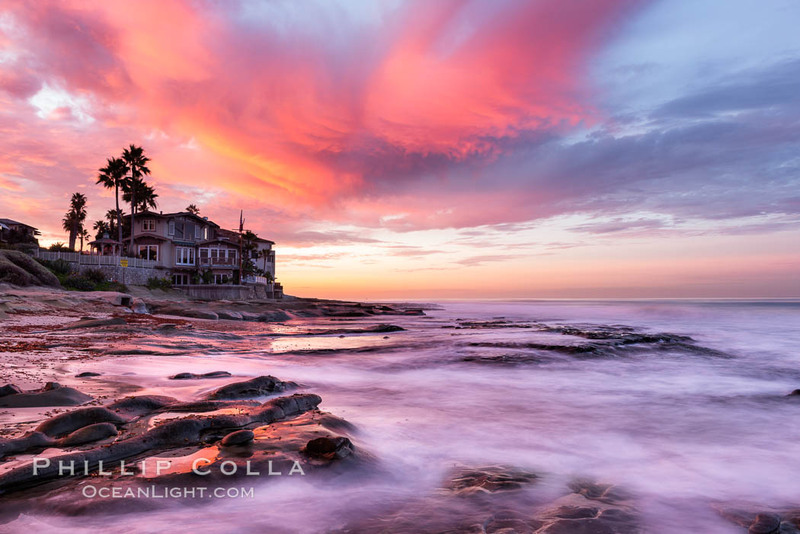 A fiery sunrise explodes over the La Jolla coastline. 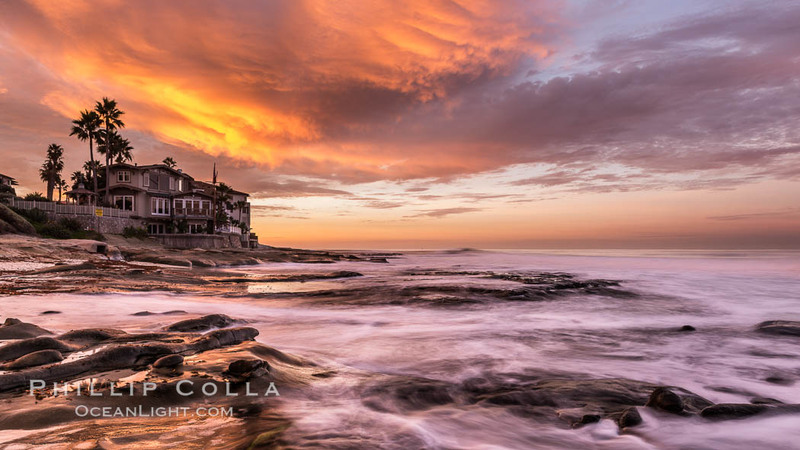 Prints of these images are available here and here, or you can take a look at a much larger selection of La Jolla photos.